SOLD OUT- thanks so much everyone. 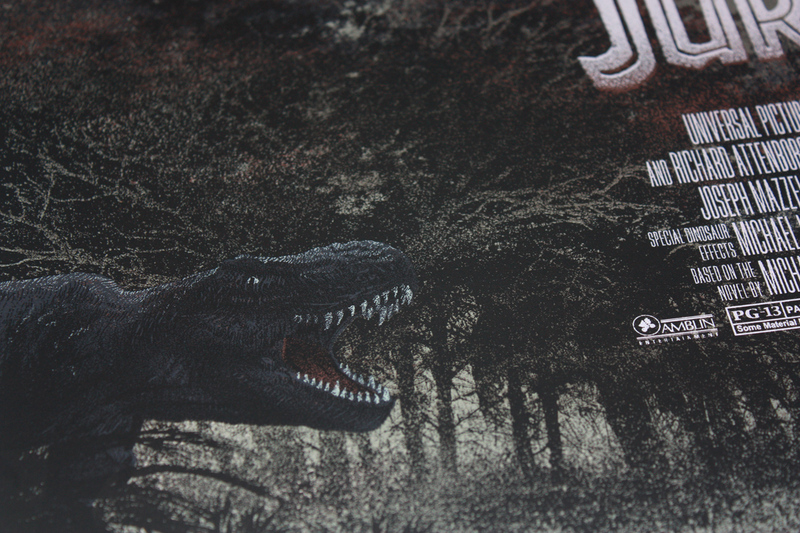 One print per person-multiple orders will be refunded. Any oversells etc. I'll notify everyone asap- thanks so much for the support! Hi friends, let's keep the release train going- next up is "Fortress of Solitude." WHERE/WHEN: I'll put up a new blog post with 'Add to Cart' buttons on Monday, Jan. 30th at a random time in the afternoon (EST). Please don't ask when-I have very few available and I'm attempting to get through this with as few oversells/refunds as possible. I felt very fortunate to get the opportunity to create this DC-licensed print for Mondo, and even more so since it involves the most iconic superhero of 'em all. Even though I knew the comics and enjoyed the cartoons & 50s TV series, my first real gateway to the Superman mythos was through the Richard Donner films. One of the first 'grown up' books I ever bought was a text-heavy Making of Superman: The Movie; I pored endlessly over the few black and white "behind the scenes" photos, made up mostly of shots of wire flying tests and carpenters building the massive Pinewood Studios sets. The largest of these was the Fortress of Solitude, and it seemed the the greatest cathedral ever built. The film's crystalline design just felt more 'otherworldly' and exotic than previous comic book incarnations of the Fortress (with mountain cave and clunky keys) and much more like a piece of an alien landscape replicated in an Artic wasteland. This image is a direct homage to Donner's universe (quickly corrupted by the hack named Richard Lester); if there was a goal, it was to make it feel like a long-lost original piece of concept art for the '78 film. As always, thanks for listening- hope to see some of you back here tomorrow afternoon for the sale. One print per person-multiple orders will be refunded. If something oversells, I'll notify everyone asap- thanks so much for the support! 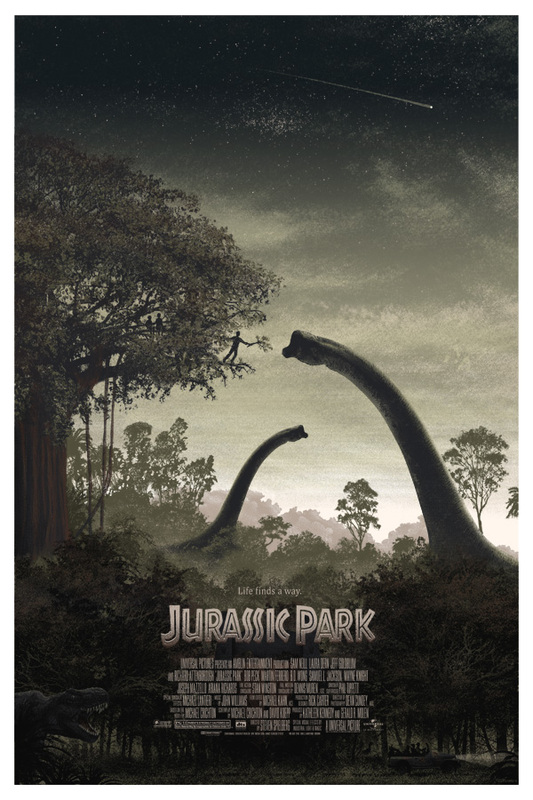 Planning on putting my copies of the Mondo 'Jurassic Park' poster & art print up for sale tomorrow, Jan. 27th at a random time (please don't ask when-I have very few available and I'm attempting to get through this with as few oversells/refunds as possible). The one hint I will give is that I try to wait at least until Pacific coast folks start to rise (I'm on EST time if you're curious). Print details-both versions are 24"x36", signed 10-color screen prints (with a nice bonus sky split), poster will be 100, art version 125. I'll add a new post to the blog with "Add to Cart" paypal buttons at a random time during the day Friday, 1/27. Hope you all had a great new year so far; I'm well into the next poster project, one I've been kinda waiting to make for a few decades.. dammit it's fun. I promise a bigger update soon to share some more details about future (and past) projects and other misc. info.